The Australian music industry came to the Canadian Music Fest loaded with more than a dozen bands and left Toronto with an army of new fans. 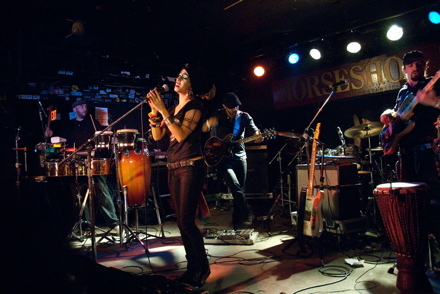 The Horseshoe Tavern hosted an Aussie BBQ on Saturday featuring nine acts, headlined by the sensational Blue King Brown, a funky eight-piece outfit fronted by the energetic Natalie Pa’apa’a (above). If you like Michael Franti & Spearhead, you’ll probably dig Blue King Brown. Their up-tempo rhythm and feel-good vibe had the Horseshoe moving from start to finish of their half-hour set. Some bands you can listen to all night. 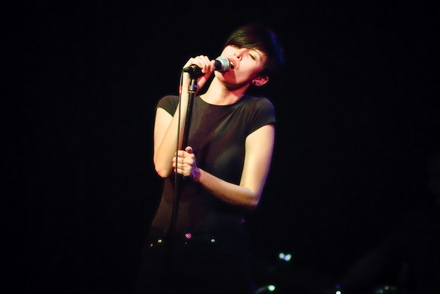 The Jezabels are one. This group of four Sydneysiders all in their twenties were mesmerizingly good at Lee’s Palace on Friday night, playing 45 minutes of their unique indie-pop that never gets too loud or too soft and never stops you moving. Singer Hayley Mary has one of those ethereal voices that just plain makes you want to hear more of it. With their Canadian Music Fest appearance done, Mary and her bandmates are already on to the States. Hopefully they’ll make it back to Toronto soon for another set. The Jezabels have toured with Canadians Tegan and Sara in Australia and are creating quite a bit of buzz Down Under for their upcoming tour. Another band that’s got a growing following in their homeland is A Friend in London, a Danish quartet who played to a tiny but enthusiastic late-night crowd at Mitzi’s Sister on Day 3 of CMF. A Friend in London have won competitions overseas, including the 2008 Bodog Battle of the Bands, and have enough talent that they should be playing venues more prestigious than the Irish pubs they’re setting up in during their run through Ontario this month. In their poppy rock songs you’ll hear hints of U2, the Smiths and Peter Gabriel. If you want to check them out before they head back to Europe, they’re at the Foggy Dew (803 King St. W.) on Sunday at 4 p.m. I was hoping to catch the full Big Sugar show at the Sound Academy, but only arrived for a bit of it. That was enough to discover Gordie Johnson can still pluck the strings pretty damn great. Looks like they’ll be making big noise around town again and that’s good news. Birds of Tokyo proved why you should always get a wristband for Canadian Music Fest. On the first night of the 2011 edition, this polished Australian quartet rocked through a tight set of songs that has won them much acclaim Down Under. In their home country they’re headliners. Silversun Pickups (one of my fave bands) opened for them during a recent tour that went from Perth to Sydney. In Toronto this week, Birds of Tokyo are among 800 bands vying for attention from industry types and, perhaps more importantly, from you and me. One wristband costs $75 on the CMF website and will get you into a bunch of shows taking place at 55 venues through Sunday. 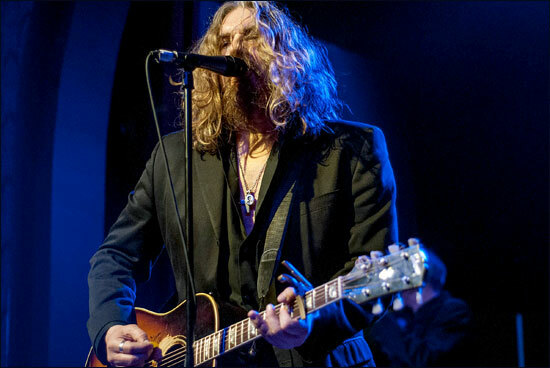 At the Phoenix on Wednesday night, lead singer Ian Kenny commanded the stage with a confident swagger that made it clear he and his band have done this many times before. 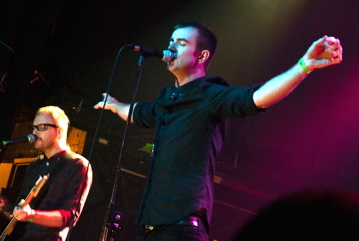 Birds of Tokyo won the Best Rock Album award at the 2010 ARIAs (Australia’s Grammys) in November. The highlight of their set was “Plans”, one of their hits in Oz. 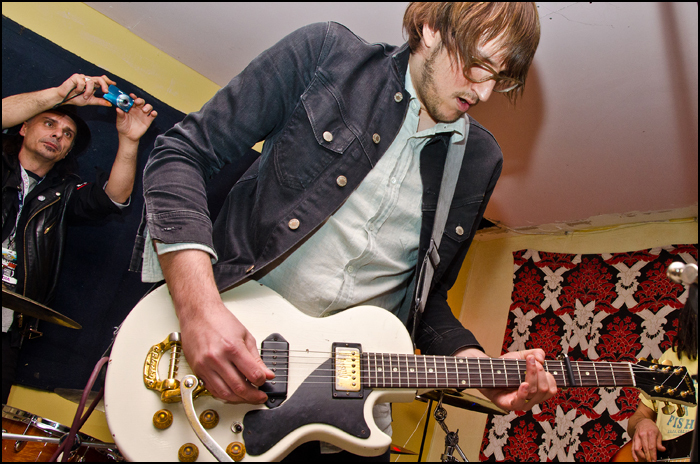 They’re sure to play that again when they hit the El Mocambo on Thursday night (9:30 p.m.) for their last set at the CMF. Here’s the full 2011 schedule.